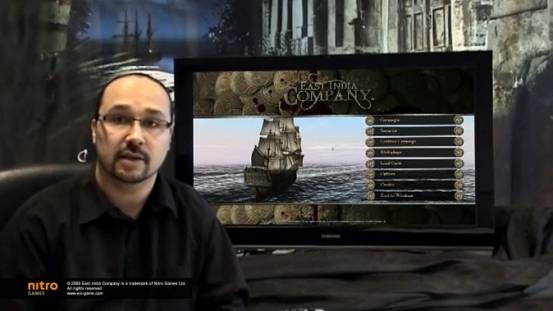 NEW YORK – May 13th, 2009 – Paradox Interactive today announced the release of the first video developer diary for the upcoming PC title East India Company™. This first entry is part of an ongoing series to be released bi-weekly on GameSpot during the time leading up to the games launch. In the video developer diaries, lead designer Kim Soares of Nitro Games will give viewers a glimpse of East India Companys extensive features and share insights from the development process. The first episode of the East India Company developer dairy is an overview of the game. In the entry, Soares explains how players will use battles and trade management to rule nations from Europe to the Far East. He also reveals the three primary view points available in the game: strategic level, which provides an overview of the world map, port level, which displays the seaport for a particular destination and tactical level, which shows a sea level view of naval battles. East India Company scheduled for release in Q3 2009 and will be published worldwide by Paradox Interactive. The PC title will be available for digital download on leading digital distribution platforms.